Removals, Storage, Man & Van Hire and House Clearance in London, the City of London and the Home Counties. 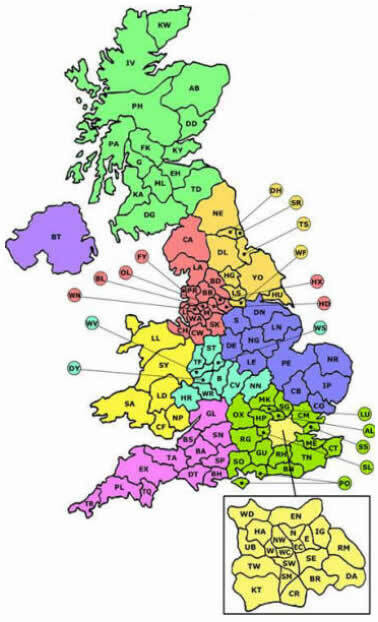 Allen & Young can move your belongings anywhere in the United Kingdom, Ireland or Western Europe. Click on the Postal district (below left) to see what services we can offer in your area. Even if we can’t help, in some areas, we may be able to recommend a professional removals and storage company who can. One of the greatest cities on Earth, London is the largest urban area and capital of England and the United Kingdom. An important settlement for two millennia, London's history goes back to its founding by the Romans. 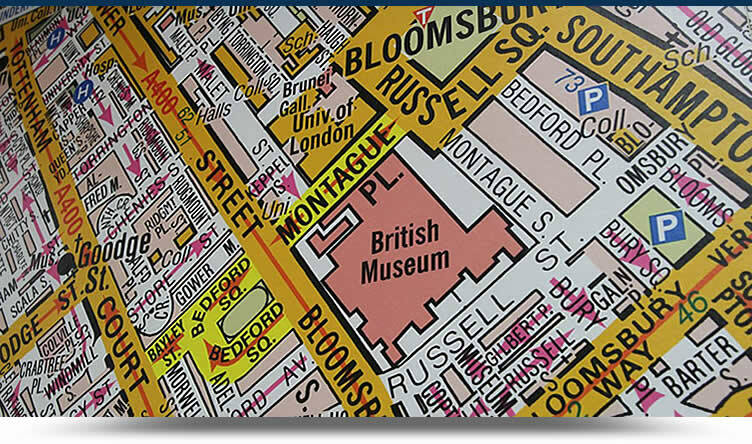 Since its settlement, London has been part of many important movements and phenomena throughout history, such as the English Renaissance, the Industrial Revolution, and the Gothic Revival. The city's core, the ancient City of London, still retains its limited medieval boundaries; but since at least the 19th century the name "London" has also referred to the whole metropolis which has developed around it. Today the bulk of this conurbation forms the London region of England and the Greater London administrative area, with its own elected mayor and assembly. London is one of the world's leading business, financial, and cultural centers, and its influence in politics, education, entertainment, media, fashion and the arts all contribute to its status as a major global city. London boasts four World Heritage Sites: The Palace of Westminster, Westminster Abbey and St. Margaret's Church; the Tower of London; the historic settlement of Greenwich; and the Royal Botanic Gardens, Kew. The city is one of the most popular tourist destinations in the world, and its popularity has increased over the years due to economic growth. London's diverse population draws from a wide range of peoples, cultures, and religions, and over 300 languages are spoken within the city. As of 2006, it has an official population of 7,512,400 within the boundaries of Greater London and is the most populous municipality in the European Union. As of 2001, the Greater London Urban Area has a population of 8,278,251 and the metropolitan area is estimated to have a total population of between 12 and 14 million. Although there is some evidence of scattered Brythonic settlements in the area, the first major settlement was founded by the Romans in AD 43 as Londinium, following the Roman conquest of Britain. This Londinium lasted for just seventeen years. Around 61, the Iceni tribe led by Queen Boudica stormed this first London, burning it to the ground. The next, heavily-planned incarnation of the city prospered and superseded Colchester as the capital of the Roman province of Britannia in 100. At its height in the 2nd century, Roman London had a population of around 60,000. The city started a slow decline in the 3rd century because of trouble in the Roman Empire, and by the 5th century the city was largely abandoned. By the 600s, the Anglo-Saxons had created a new settlement called Lundenwic approximately 1,000 yards (0.9 km) upstream from the old Roman city, around what is now Covent Garden. It is likely that there was a harbour at the mouth of the River Fleet for fishing and trading, and this trading grew until the city was overcome by the Vikings and forced to relocate the city back to the location of the Roman Londinium to use its walls for protection. Viking attacks continued to increase around the rest of South East England, until 886 when Alfred the Great recaptured London and made peace with the Danish leader, Guthrum. The original Saxon city of Lundenwic became Ealdwic ("old city"), a name surviving to the present day as Aldwych, which is in the modern City of Westminster. Subsequently, under the control of various English kings, London once again prospered as an international trading centre and political arena. However, Viking raids began again in the late 10th century, and reached a head in 1013 when they besieged the city under Danish King Canute and forced English King Ethelred the Unready to flee. In a retaliatory attack, Ethelred's army achieved victory by pulling down London Bridge with the Danish garrison on top, and English control was re-established. Canute took control of the English throne in 1017, controlling the city and country until 1042, when his death resulted in a reversion to Anglo-Saxon control under his pious stepson Edward the Confessor, who re-founded Westminster Abbey and the adjacent Palace of Westminster. By this time, London had become the largest and most prosperous city in England, although the official seat of government was still at Winchester. The City of London (corresponding closely to the area of Roman London) together with Westminster, comprised the core of the built-up area in early mediaeval times.